Healthcare providers are in one of the most competitive hiring markets in our nation’s history, due to a major shortage of healthcare workers and growing demand for patient care services. hiring the best talent available in the most cost-effective, efficient and timely manner. Just as you provide orientation for a new recruiter, your staff needs to be available to onboard the Recruitment Services team. This means providing training materials, system access, access to hiring managers and education, particularly about your organization’s culture. The Recruitment Services team needs to understand your employee value propositions, the selling points of your health system, your career development opportunities, and the community. Agreeing up front who is responsible for what part of the process is an important part of successfully integrating the Recruitment Services experts with your team. Delineating the Recruitment Services roles from internal staff roles can help avoid mix ups. This may involve such things as the type of requisitions and departments to be supported by the Recruitment Services team and how they’re going to carry out these functions. Internal staff should understand that the Recruitment Services team is truly an extension of the internal team brought in to supplement the efforts of existing talent acquisition functions. One of the areas that often gets overlooked in initiating a Recruitment Services partnership is ensuring consistent and proactive communication with internal team members, including talent acquisition staff, hiring managers and executives. To ensure their comfort and buy-in to the process, your staff needs to understand why you are partnering with Recruitment Services experts, what the program is going to entail, how it is going to benefit your staff, and what are the desired outcomes. Ensuring everyone is on the same page – creating a sense of “team” — will go a long way to achieving a good working relationship and a high level of program success. With every type of recruiting, occasional challenges will arise. Having a predefined escalation path is key. For example, you and your Recruitment Services partner should agree up front on a structure for resolving hiring issues. A quality Recruitment Services company will recommend a management system customized to your specific needs. For instance, a management system may include a scheduled meeting cadence that says every week both parties will meet to review data or every month you will gather to go over strategy. It can also spell out a report structure with dates for delivering significant information to your organization. Service level agreements that track quarterly performance against agreed upon targets can also be part of this structure. In addition to aiding your recruitment and hiring, a quality Recruitment Services provider should serve in a consultative role and act as your organization’s strategic long-term partner. This means offering ways to improve your employment brand, working to expand your internal candidate database and recommending process improvements to your systems and recruiting processes. As experts in the field, a quality provider will bring an industry-wide view, with extensive knowledge of best practices and strategies that can be statistically compared with your data. This can provide valuable insights that lead to more cost-effective and efficient strategic decisions. 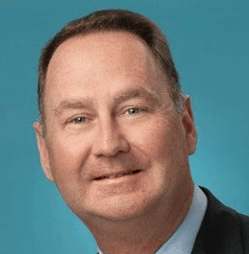 Dan White is President of Strategic Workforce Solutions, AMN Healthcare.